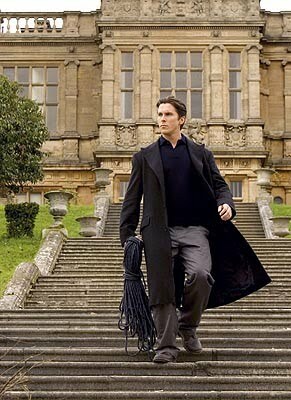 The first time I watched Batman Begins I don’t think I appreciated it enough. Sure it wasn’t my favourite Christopher Nolan movie and still isn’t. But like every Nolan movie, the second view is always better than the first. Batman Begins isn’t a flawless film. It’s somewhat let down by a weak lead performance from Katie Holmes (but that may just be because I am comparing her to Maggie Gyllenhaal, who I saw as Rachel Dawes first). It’s on a completely different wave length to The Dark Knight, because it isn’t as dark or as much of a noir. But let’s look at this film on its own (which is pretty hard in this day and age because it is so hard not to compare it to its better younger brother). 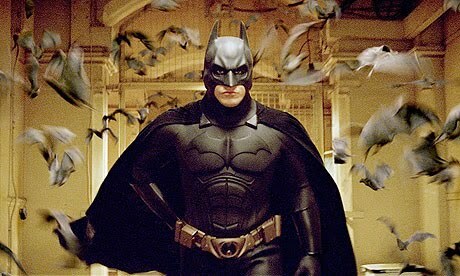 With the title Batman Begins you would be expecting a corny superhero movie all about how Batman got to be Batman. That’s only half of it. This is by no means corny and doesn’t surrender to the superhero genre. It is all very realistic. Christian Bale fills the role of Bruce Wayne using some great levels...first the young Wayne angry over his parent’s death, then the Wayne who is trying to find away to fight evil, and then the Wayne who becomes Batman. Had the role been giving to a lesser actor, let’s say...George Clooney, then maybe the role wouldn’t have been so macho, or god forbid, even believable. The film starts a new lease of life for the Batman franchise. This is Christopher Nolan’s Batman, which isn’t at all like Tim Burton’s or any of the other previous attempts at bringing the comics to life. Just imagine if Zack Snyder had made it. Yes, he’s really good at making ‘comic book movies’. But Christopher Nolan is really good at ‘taking a comic book’s idea and making it into an actual film’. 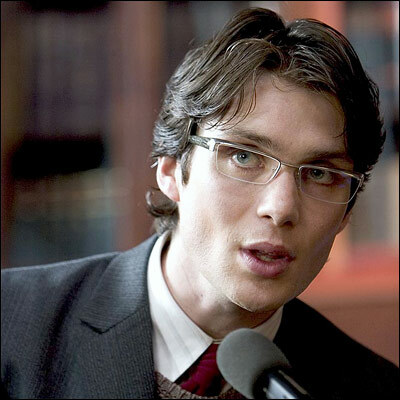 There's not a lot more I can say about Batman Begins...well I could say a lot but you would get bored fairly quickly. My verdict: Second time is way better. Characters are more than interesting. Christopher Nolan is God. Oh, and the end...that Joker card...that started a phenomenon. I have bumped the rating up to 10/10 for the second time around. Yes, I am going mad for Christopher Nolan films. Sorry.